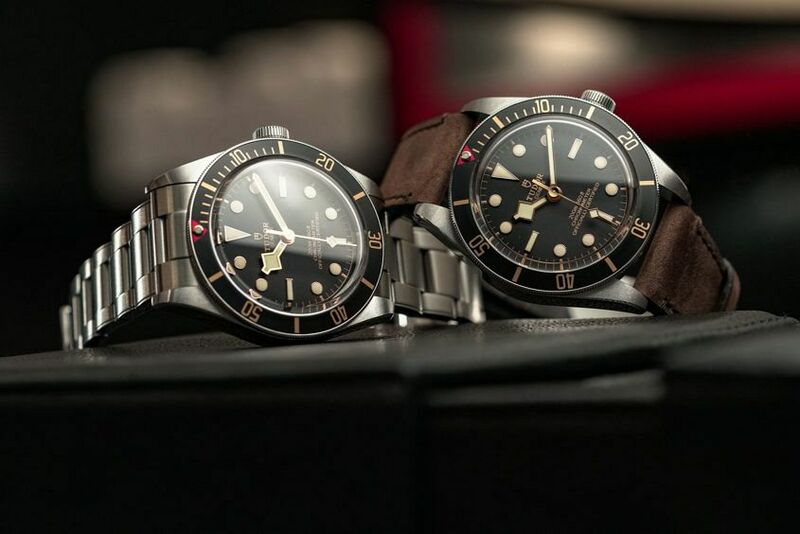 Tudor have added another – smaller – member to the Black Bay family at Baselworld 2018. It’s inspired by the “Big Crown” (reference 7924) Submariner, and named after the year it was released. 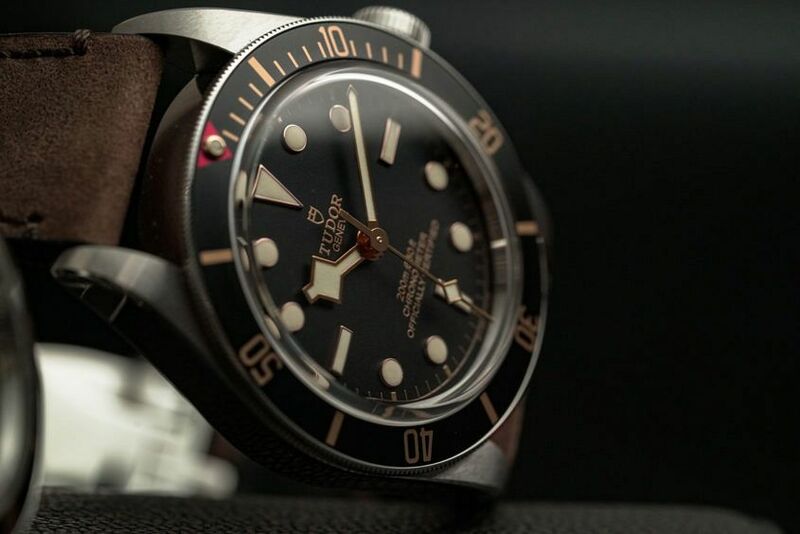 The Black Bay Fifty-Eight faithfully re-creates the smaller case size of the 7924, complete with oversized crown and introducing a brand-new calibre into the Tudor collection. 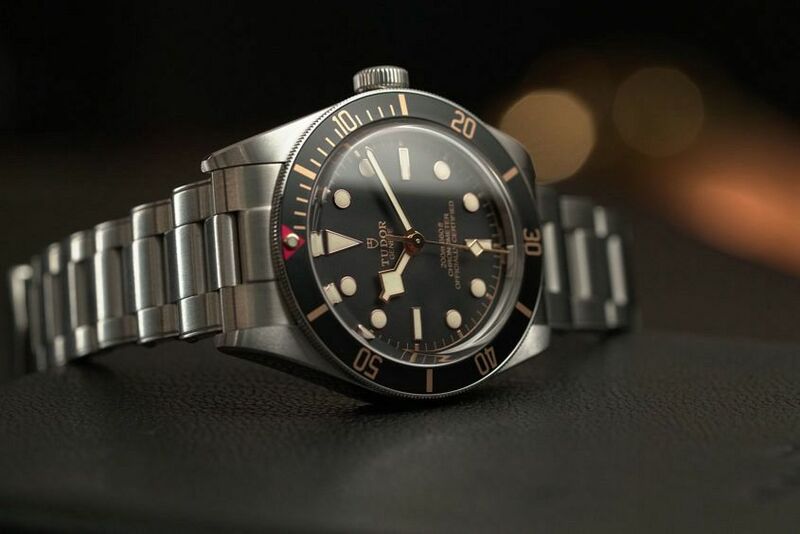 This is the first time we’ve seen the original Black Bay design downsized. The case of the Black Bay Fifty-Eight measures a very friendly 39mm across. However, the real story is how much slimmer it now is – at just under 12mm, as opposed to almost 15mm for the 41mm model. It’s also now powered by a brand-new Tudor manufacture movement, the calibre MT5402. With its smaller dimensions allowing for the diminished case size, while still maintaining a power reserve of 70 hours, a silicon balance spring, and COSC accuracy. There’s also a familiar gilt dial – sans the date – which matches the unidirectional bezel, with gilded markings and numerals. The crown has been reworked, with the familiar Tudor rose now embossed and the crown tube now satin-brushed in steel. It’s not so much the smaller diameter that is instantly noticeable when strapping on the Fifty-Eight, but rather the new-found slimness of the case. 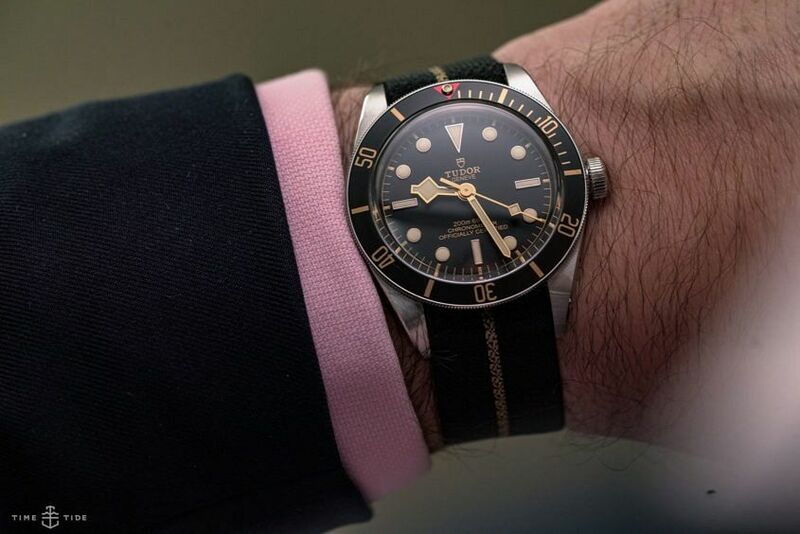 The trademark slab-like sides of the Black Bay are markedly reduced, making for a much more svelte feeling on the wrist and adding an extra dose of vintage appeal, which is made even stronger by gilded markings and the oversized crown. Love the Black Bay but didn’t like the thick case and larger diameter? Then this one is for you. Or maybe the original just wasn’t “vintage” enough for you. If it isn’t the streamlined case, or the brand-new movement, then it must be the removing of the colour-matched crown tube.